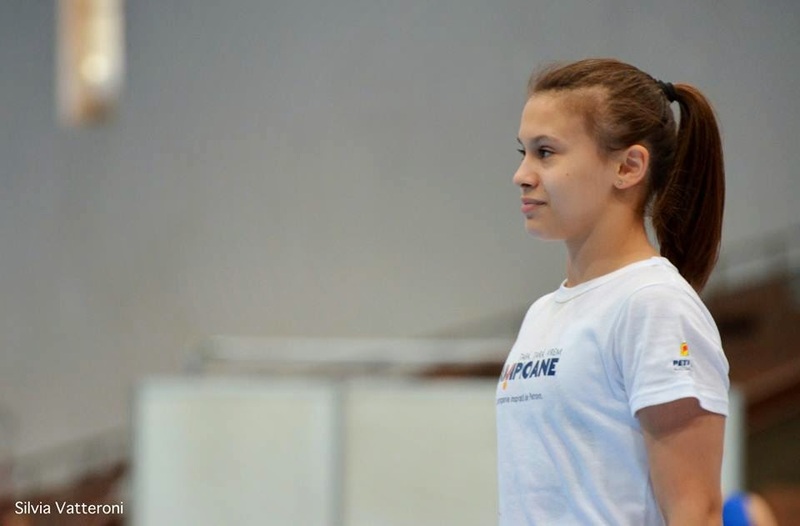 Articles by "EC Sofia 2014"
Russia’s Maria Kharenkova beat the reigning European beam champion Larisa Iordache of Romania yesterday during the European championships’event final. 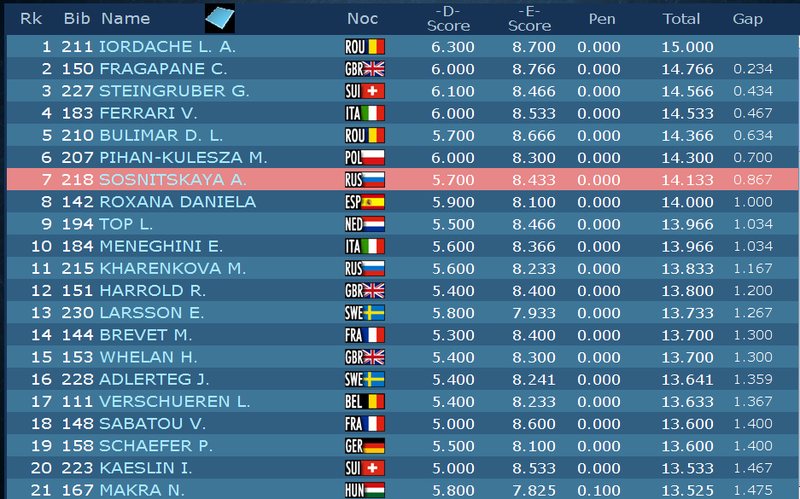 Kharenkova who is having her first major international competition as a senior, scored a 14.933 beating Iordache by 0.133. Her teammate and the reigning World champion on the event, Aliya Mustafina settled for a bronze medal with a score of 14.733. “I am extremely happy that Maria Kharenkova took the gold on beam. The competition was not easy for me because of my leg injury, but I tried to pull myself together because I know my younger teammates are watching me and I shouldn`t show any weakness” said Aliya Mustafinawho is the oldest and only experienced gymnast on the Russian team. Now that the competition has ended, Aliya is going to have her ankle re-examined in Germany. “To tell you the truth I am too excited to tell you what is happening right now. As for Aliya she is our sister, our world star, our coach and even our mother, she is all for us. We are all very happy” said Kharenkova. “I am sorry that I didn`t get the gold on the beam and I will do my best to prove what I can do at the World Championships in China later on this year” said the silver medalist Larisa Iordache. British Rebecca Downie who won gold on uneven bars, finished in 4th place with score 14.366. Italy’s Vanessa Ferrari and Poland’s Marta Pihan Kulesza came in 5th and 6th place respectively. Calire Martin of France produced a nice routine but had a fall on her dismount. She finished in 7th place. While Giulia Steingruber of Switzerland finished last. Italy’s Vanessa Ferrari won yesterday her first European title in seven years. The 23 year old gymnast shared her gold medal on floor with Romania’s Larisa Iordache . “I was not happy with what I did in the beam final and I tried to take my last chance on floor. I felt very tired from the team final yesterday. It was a long wait in the floor final, because I had to perform second to the last. Now I am really happy that I won this medal in my mother`s country!.” said Ferrari whose mother is Bulgarian. Ferrari’s last European title was also on floor exercise in 2007. Last year, she won a silver medal on the event at Worlds. Swiss Giulia Steingruber won the bronze medal, her first in a non vault final. 2013 European floor bronze medalist Diana Bulimar of Romania tied Polish Marta Pihan Kulesza in 4th place with score 14.400. Whereas Alla Sosnitskaya of Russia, Roxana Popa of Spain and Claudia Fragapane finished 6th, 7th and 8th respectively. Today, Anna Pavlova made history for her newly adopted country ‘ Azerbaijan’ by becoming the first Azerbaijani woman to win a medal at European women’s artistic gymnastics. Pavlova won a silver medal on vault with a double twisting Yurchenko (5.8) and a stuck cold Podkopayeva (5.6) and scored a 14.583. That silver medal is Pavlova’s seventh at European championships. “I was very nervous whether I will do well in my first European Championships competing for Azerbaijan. I am very happy that I managed to win the first medal for my new country. They are helping me to stay in the international circuit – I am helping them to win medals” said Anna Pavlova. The Russian native moved to Azerbaijan gymnastics after being left on the sidelines in her native country’s gymnastics for over five years. Pavlova who is 26 years old, is the winner of the Olympic bronze medal on vault in 2004. Switzerland’s Giulia Steingruber proved once again, she is the best European vaulter nowadays by defending her European title. 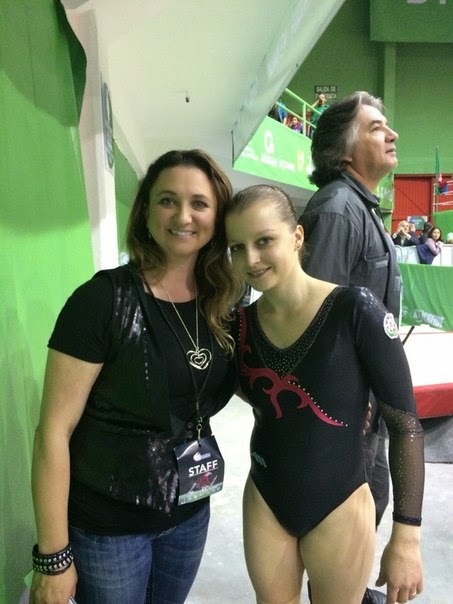 Giulia performed a Rudi (6.2) and a simple full twisting Yurchenko (5.0), she received a score of 14.666. Romania’s Larisa Iordache who was the 2013 European silver medalist on the apparatus, took home bronze. Newcomer Alla Sosnitskaya of Russia finished fourth. Alla would have won the gold medal, had she not landed on the corridor line which resulted in a 0.3 penalty. Her score would have been a 14.749 which was enough to out score Steingruber. Germany’s Janine Berger had a low chest landing on her Rudi and had a step out of the corridor line. She also had a big step to the back on her full twisting Tsukahara. As a result, she finished 5th. Great Britain Claudia Fragapane who is having her first major international competition, came in 6th place. 2011 European uneven bars bronze medalist kim Bui of Germany and Hungary’s Noémi Makra who competed two simple vaults, finished in 7th and 8th place respectively. After struggling with disappointments in the past few years, British gymnast Rebecca Downie got her redemption by winning the gold medal on uneven bars today in Sofia, beating Olympic and European bars champion Aliya Mustafina of Russia. “Every final I have missed out [on a medal] has made it harder to pick myself up and keep coming back but moments like today prove it was all worth it.” Downie told BBC. The British gymnast failed to make her second Olympic team in 2012. Last year, she fell on bars during the Europeans’ and Worlds’ event final. Downie’s medal is her first gold at a major international competition. The 22 year old gymnast is the first British female gymnast other than Beth Tweddle to win a European title. Downie’s teammate Rebecca Tunney missed out on medal by only 0.033 points. Tunney who had her first individual European final in Sofia, lost to first year senior Daria Spiridonova of Russia. Sophie Scheder of Germany finished in 5th place with score 14.733. Larisa Iordache who is the first Romanian gymnast to make the uneven bars final at a European championship since Steliana Nistor in 2008, placed 6th. With score of 14.400, Kim Bui of Germany came in 7th place, while Spain’s Roxana Popa finished last with score 14.266. Due to a rule that states, only two gymnasts per country are allowed to make each final, Russia’s Anna Rodionova and Britain’s Ruby Harrold will not be in the uneven bars final despite coming in the first 8 positions. Rodionova’s teammates Aliya Mustafina and Daria Spiridonova outscored her. Mustafina and Spiridonova scored 15.100 and 14.900 respectively, while Rodionova scored 14.866, just missing out on final by only 0.034. 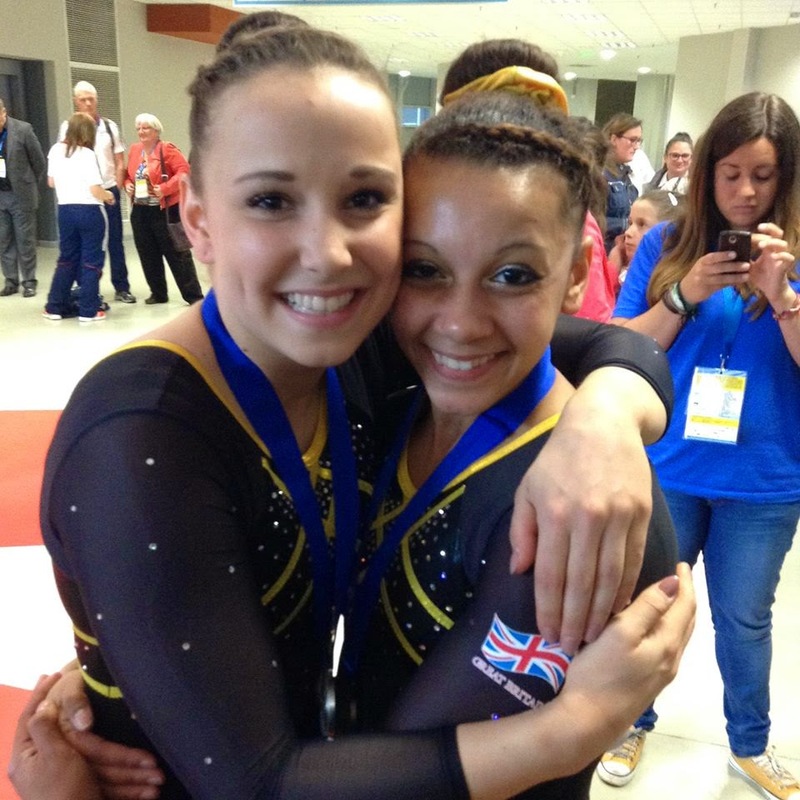 Britian’s Rebecca Downie and Rebecca Tunney who secured first and 3rd place respectively topped Harrold’s score. 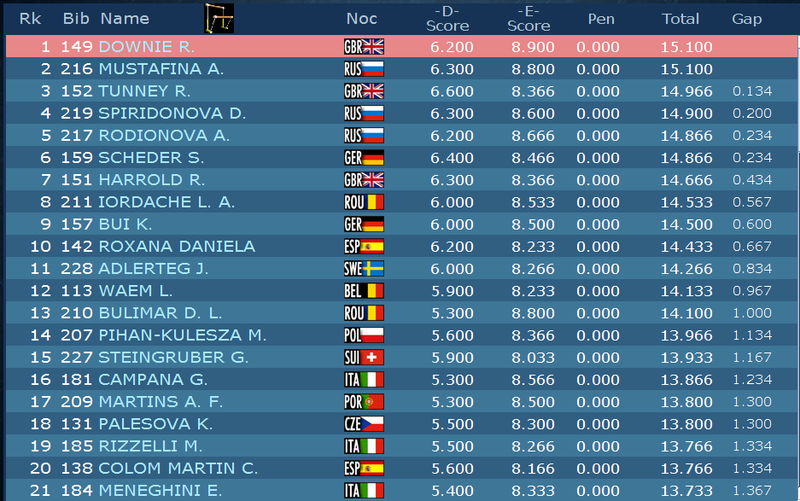 Romania’s Larisa Iordache made the apparatus final despite being her weakest event. Germany had two gymnasts qualified to the final, Sophie Scheder and Kim Bui. In last place, came Roxana Popa of Spain. Sweden Jonna Adlerteg who won the bars silver medal at last year’s European championships, failed to qualify and finished in 11th place. With a score of 14.366 on floor exercise, Romania’s Diana Bulimar made her only individual final in Sofia. Bulimar came in 5th place behind her teammate Larisa Iordache (1st place), Britain’s Claudia Fargapane (2nd), Switzerland’s Giulia Steingruber (3rd place) and Italy’s Vanessa Ferrari (4th place). At last year’s European championships, Diana secured herself a bronze on the apparatus. Marta Pihan Kulesza of Poland, Alla Sostnitskaya of Russia and Roxana Popa of Spain qualified in 6th, 7th and 8th place respectively. Today, the Romanian team has successfully defended their title. Their victory has been marked as their 7th European title. The Romanians beat the British who came in second place, by over two points, while the Russians settled for a bronze medal after costly mistakes. The Romanian team had the highest scores on vault, balance beam and floor exercise. where as the British topped every team on uneven bars. Britain’s previous medal in the event, came in 2010 when the team won a silver medal. The Italian, German, Spain and Belgium claimed 4th, 5th,6th and 7th respectively.